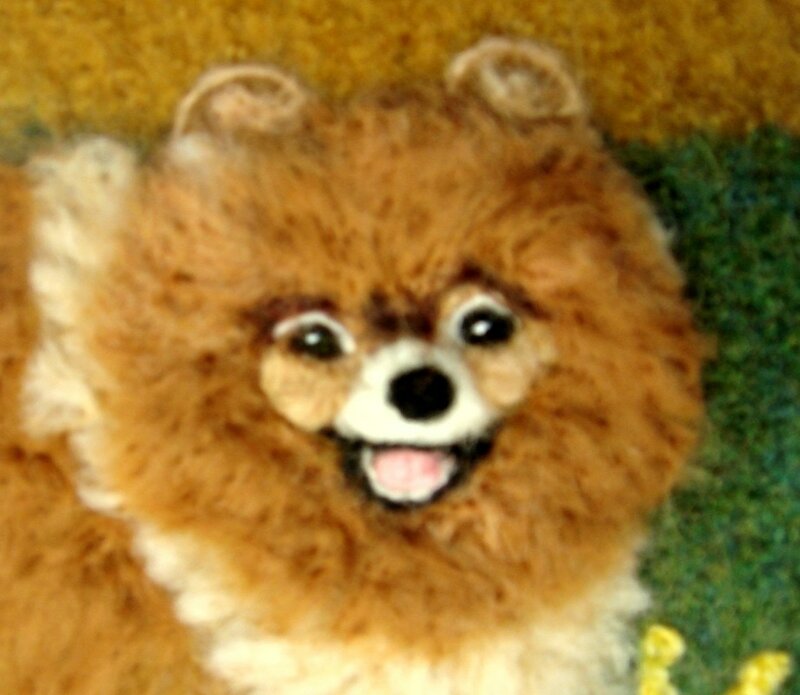 DESCRIPTION: This Pomeranian dog is amazing! 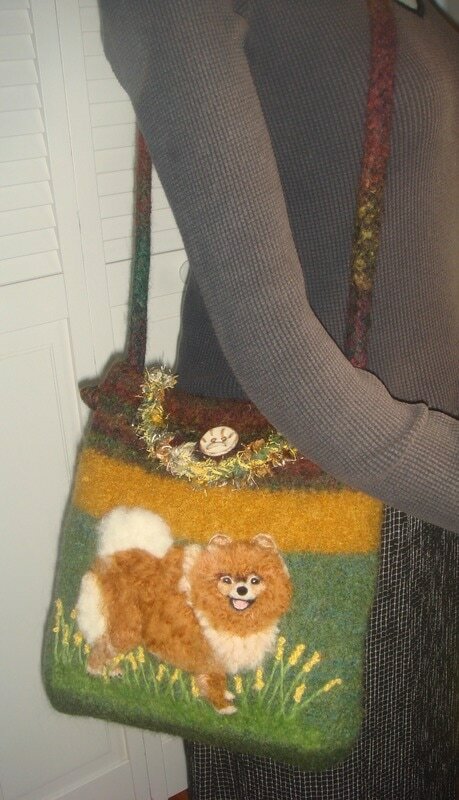 He/she looks as if it's going to jump off the front of the purse into your lap!! 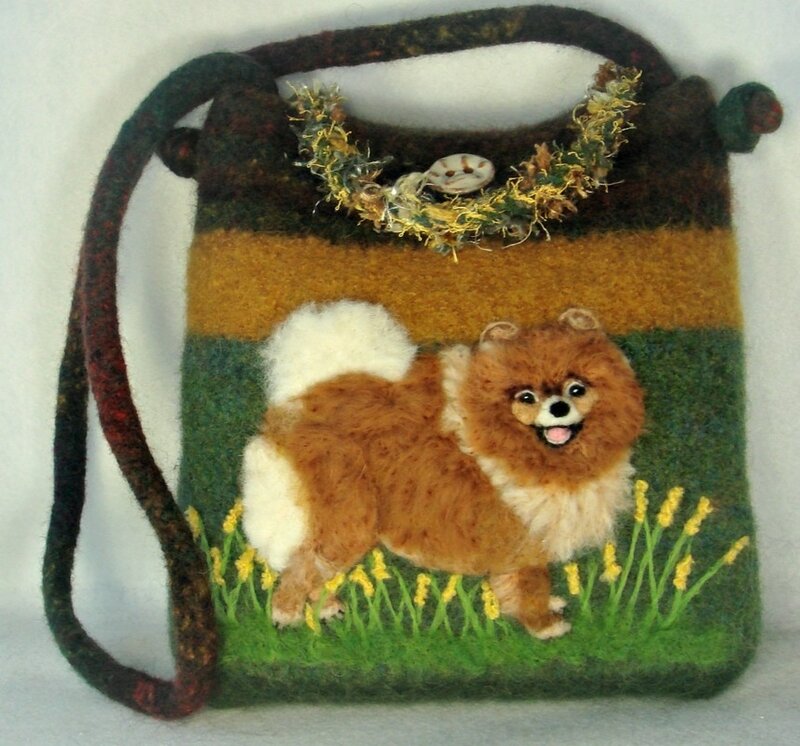 The warms colors of the bag are perfect to highlight this popular dog. The bag has an inside pocket and closes with a paw print ceramic button. The measurements are: 12" X 11" X 2.5". The ADJUSTABLE strap has a 23" drop but can easily be shortened. This one will be adopted fast! You can request a custom design of your dog,cat,pet. Just send me pictures and choose purse design,colors,strap length.